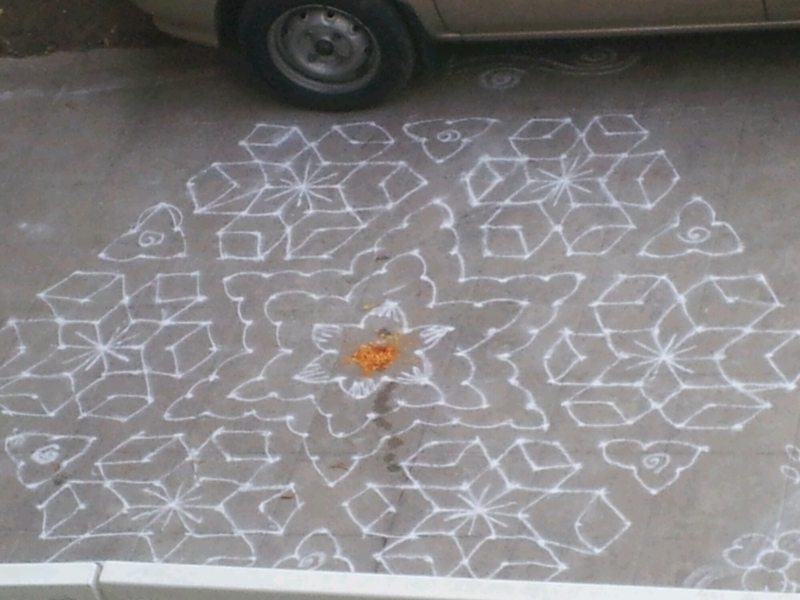 Sankranthi is a favourite festival for several reasons. One of them being ‘muggus’. The art of drawing a variety of designs on the floor in front of the house and decorating with colours and flowers is loved by all Indian women. 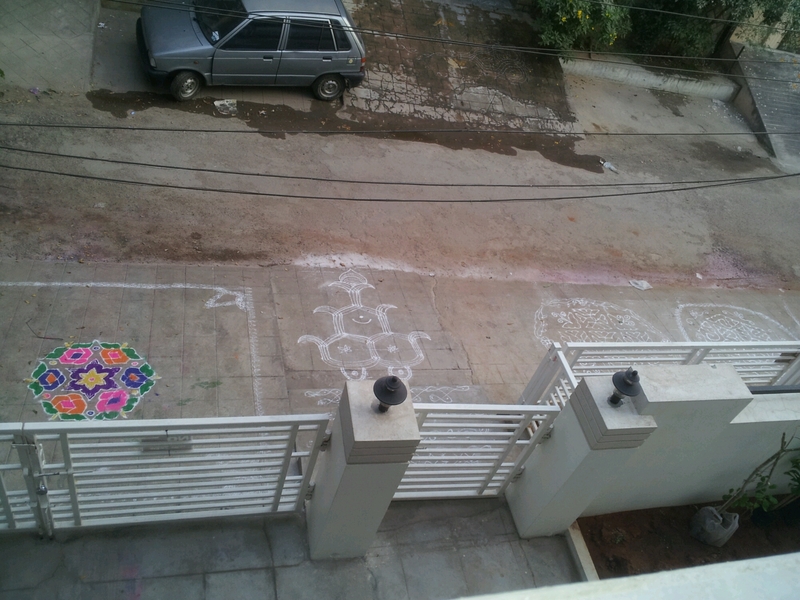 Women vie with their neighbours in drawing the most beautiful muggus in the neighbourhood. They are at their creative best. This is a muggu drawn with lines. This one is drawn by first putting dots and then making patterns of flowers, leaves, lotus, parrots, lights etc by joining the dots. The patterns are then filled with colours. The dots and patterns are clearly visible in this muggu. Some more can be seen here. A ‘chariot muggu’ can also be seen in this pic. It was fun drawing and colouring these during the last 3 days in the chilly wintry nights of January. 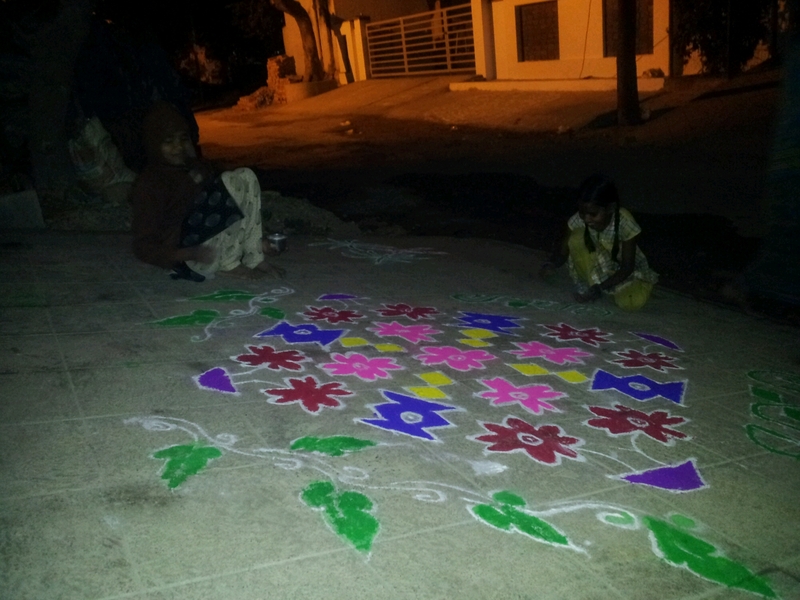 Most women prefer to draw the muggu after sunset during the festival. Our watchman’s kids too enjoyed drawing and colouring. 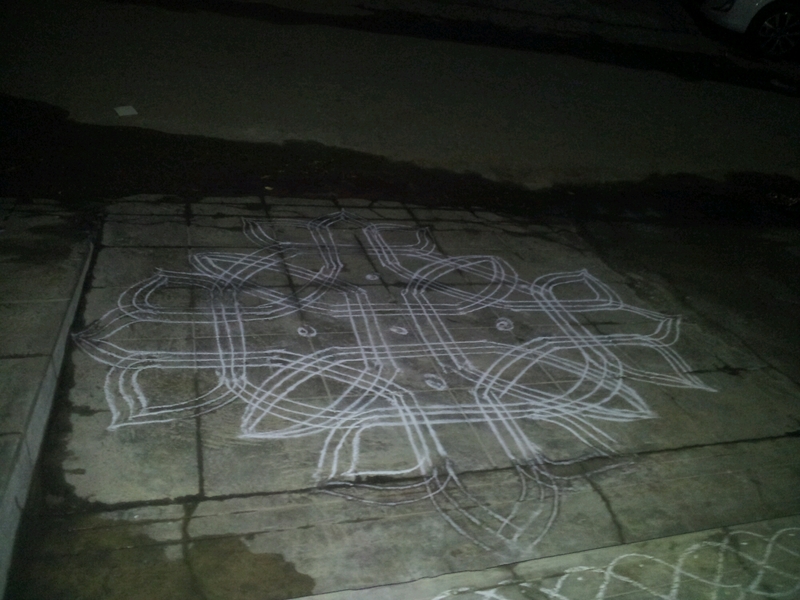 Categories: Uncategorized | Tags: kolam, Sankranthi muggulu | Permalink.